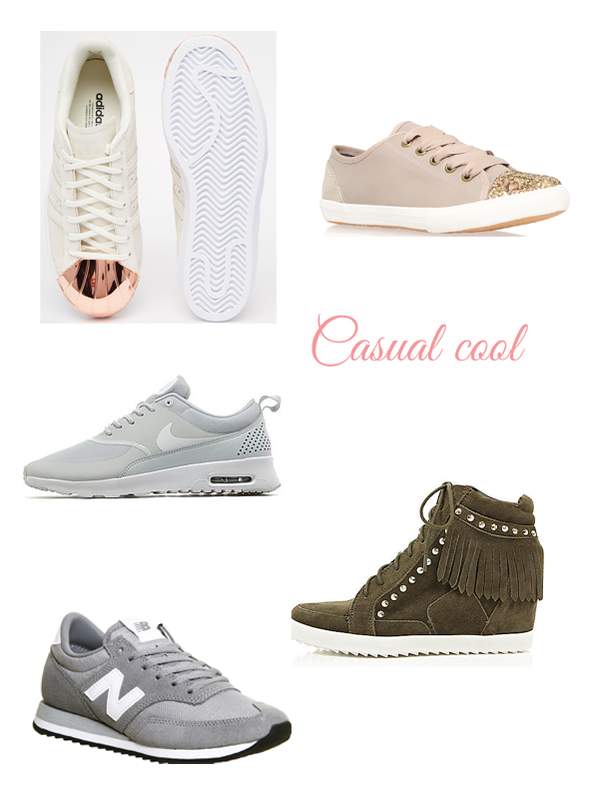 2015 was the year that the fashion world officially fell in love with runners…and we’re fully on board the bandwagon! Grey is my current go to when it comes to tops and knitwear – so I figure I need a pair of trainers to match! As mentioned, I love the Nike Theas and the New Balance are are fab too. I can never resist a touch of blush and these rose gold capped Adidas Superstars are currently taking Instagram by storm! As for the splash of sparkle on the Kurt Geiger pair above…I’m sold! I’m slightly cheating with the last pair, but wedge runners are so comfy too and this pair from River Island caught my eye – they would be perfect with skinny jeans. Are you a trainers fan too? Comment below or over on Facebook with your faves!